On November 5, 2017, Buck Run members left the morning worship service to notifications of a mass shooting at FBC, Sutherland Springs, a sister church in the Southern Baptist Convention. This deadly incident left 26 church members dead and 20 more injured. When the dust settled, this was the fifth deadliest mass shooting in the United States. 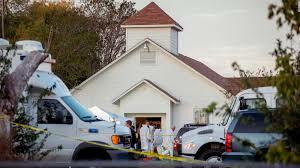 In an effort to support FBC Sutherland Springs in such a devastating time and help them continue to minister to the Southerland Springs community, the North American Mission Board is encouraging churches to give $1,000 to assist in the construction of a new building. Through the cooperation of the SBC community, Sutherland Springs will be positioned to continue to advance the Gospel in Southern Texas. Buck Run would like to assist our sister church and funds are being collected to this end. If you would like to donate towards the Sutherland Springs fund, please click here.